depth knowledge of the process of Sales cloud platform then nothing can stop you. 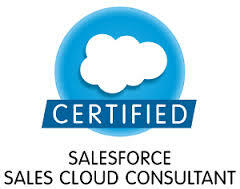 The Salesforce.com Certified Sales Cloud Consultant is able to successfully design and implement Sales Cloud solutions that meet customer business requirements, are maintainable and scalable, and contribute to long-term customer success. 1. Design of end-to-end sales process from lead to opportunity to quote to close to order. 2. Capabilities and use cases for territory management. 3. Use cases and design considerations when implementing Orders. 4. Appropriate uses cases for Account and Opportunity Teams and the effect on sales roles, visibility, access, and reporting. 5. Determine the relationships between sales stages, forecast and pipeline. 6. Chatter enables collaboration in the sales process. 7. Capabilities and use cases of work.com pertinent to sales productivity. Hope it helps, all the best for the exam! !